Malcolm Parlett PhD has had three careers within psychology. His longest has been as a gestalt trainer and consultant. He co-founded the Gestalt Psychotherapy and Training Institute in the UK, was a visiting professor of Gestalt Psychotherapy at the University of Derby, edited the British Gestalt Journal for 15 years, and is in demand as a thought leader in the international gestalt community. In 2015 he published Future Sense: Five explorations of whole intelligence for a world that’s waking up, which explores the realm of how personal lives and global trends influence each other. 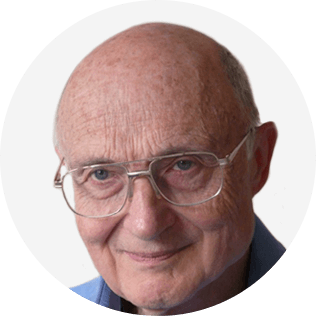 Past the normal retirement age, Malcolm combines continued teaching with grandfathering, dining with friends and family, walking, and listening to music and cricket commentaries. What is “whole Intelligence”? Every executive and life coach realises that for coaching sessions to be successful, both coaches and coachees (whether individuals or teams) need to draw upon a whole variety of different skills, attributes, abilities, and understandings, and demonstrate constructive features of their personalities at the same time. They arrive all together and interact with one another in complex ways that make for unique configurations. I describe in this talk how a holistic approach is necessary and can be rigorous and practical, despite being mostly impossible to quantify. Working towards greater Whole Intelligence offers coaching a radically different perspective – providing an essential grounding for promoting effective work relationships and successful systemic interventions. I shall introduce five dimensions of Whole Intelligence: Responding to the Situation, Interrelating, Embodying, Self-Recognising, and Experimenting, and show how they are all necessary, interdependent, with each area of competence and capability requiring the other four dimensions to be ‘in play’. In particular, all are necessary in managing complex situations, handling of sensitive issues of ethics and values, and in handling ‘difficult moments’ with assurance. The emphasis will be on practical steps that coaches can take in their own development of Whole Intelligence, as well as in the lives of their coachees. The background thinking for this approach is contained in my book: Future Sense: Five Explorations of Whole Intelligence for a World That’s Waking Up. 1.Why a holistic approach to complex situations is unavoidable, given that human reality is untidy and does not always conform to planned systems and neat categories. 3. How to begin applying the five dimensions immediately in one’s practice. Following the introduction to Whole Intelligence in the Pre-Summit, I shall describe its five dimensions, Responding to the Situation, Interrelating, Embodying, Self-Recognising, and Experimenting, showing how they are all necessary, interdependent, with each area of competence and capability requiring the other four dimensions to be ‘in play’. With each dimension, implications for coaching practice will be spelled out. For example, with Responding to the Situation, the need to identify how the coachee(s) perceive their situation, and how they understand the ‘Russian dolls’ systemic complexity impacting them; also how they ‘naturally’ respond and/or interrupt their response. With Interrelating, a Whole Intelligence outlook embraces issues of membership, affiliation, and loyalties (conflicting or otherwise), which are often hidden but affect how people relate to others, take sides, or act in apparently inconsistent ways. These influences can be made visible, and changed. Embodying – a radical challenge for many – is about giving weight to non-verbal data alongside verbal. Whole Intelligence is limited if visceral, emotional, sense-based aspects of lived experience are ignored. Inability to control anger, avoid burn-out, or manage stress are self-destructive. Self-Recognising refers to various kinds of self-review, reflection, and feedback from others and the need to register changes to inform up-to-date choices. With Experimenting, the emphasis is on consciously balancing the need for supportive familiarity with the need for creative handling of new conditions. The temptation to treat these as separate free-standing competences, is to be resisted: Whole Intelligence calls for recognising them as too fluid, changeable, and integrated to be divided up. But simple steps can be taken that extend the coachee’s range on each dimension. More can be found in my book, ‘Future Sense’: Five Explorations of Whole Intelligence for a World that’s Waking Up’, Matador 2015.